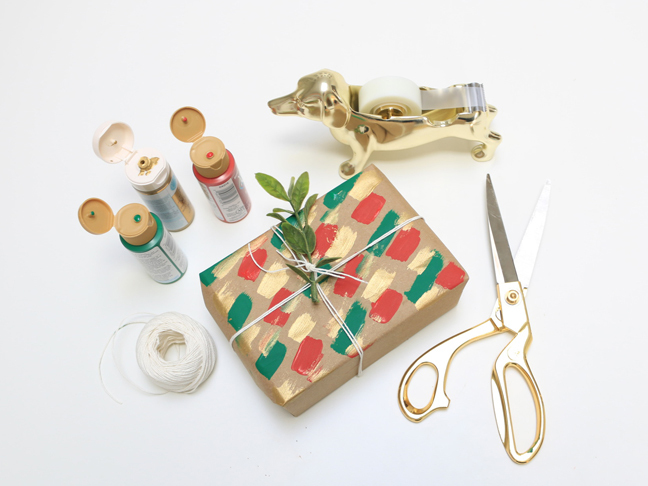 With the holidays right around the corner, we are so excited to show you how to make customized DIY holiday gift wrap! 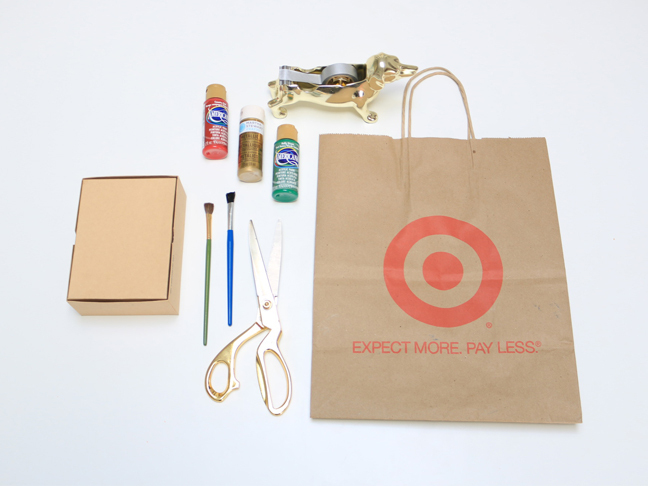 One of our favorite parts of this holiday DIY, and what inspired us to do it is how much more personal it makes a gift. 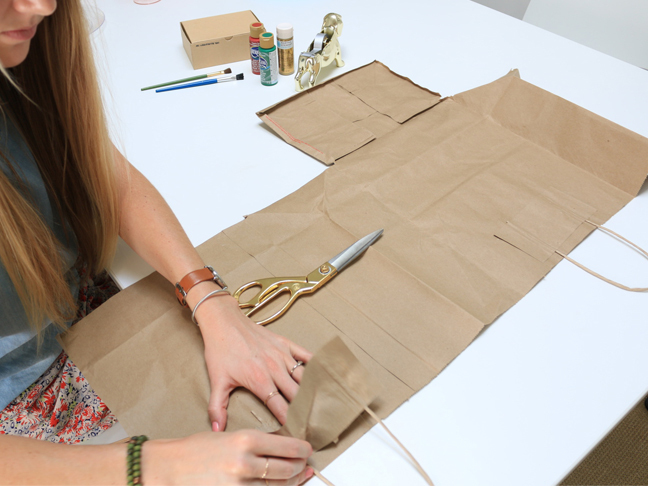 In six simple steps you can transform a regular brown paper grocery bag into the perfect gift wrap using your own creativity and design. No matter how big or small the package, there is always room for a little festive fun! 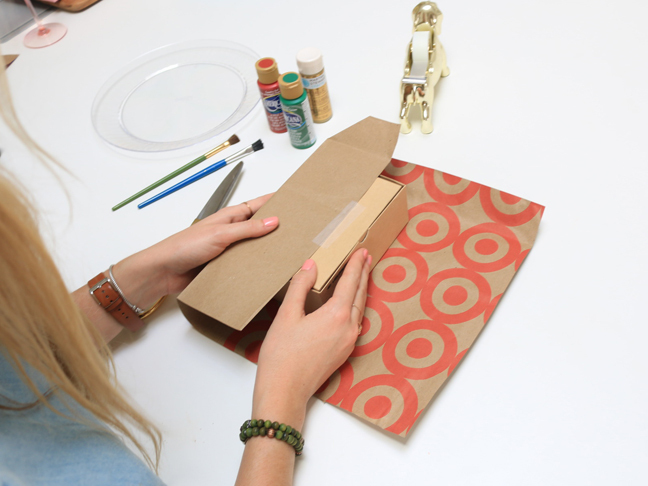 Step 1: Cut the paper bag along the edges so it lies flat, and cut off the bottom of the bag completely! 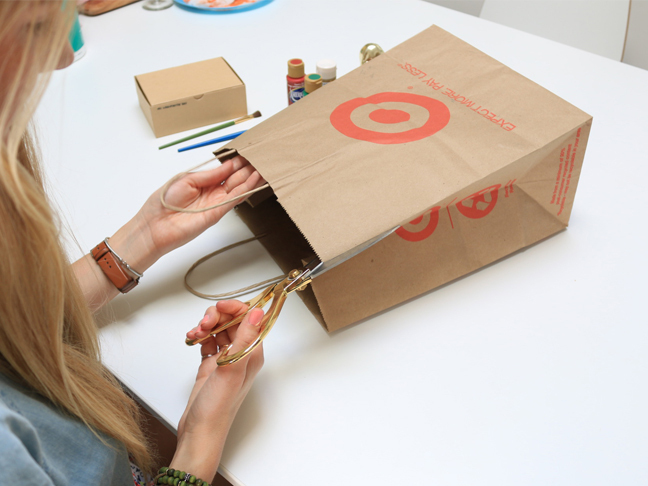 Step 2: If your bag has handles like ours did, make sure to peel them off! 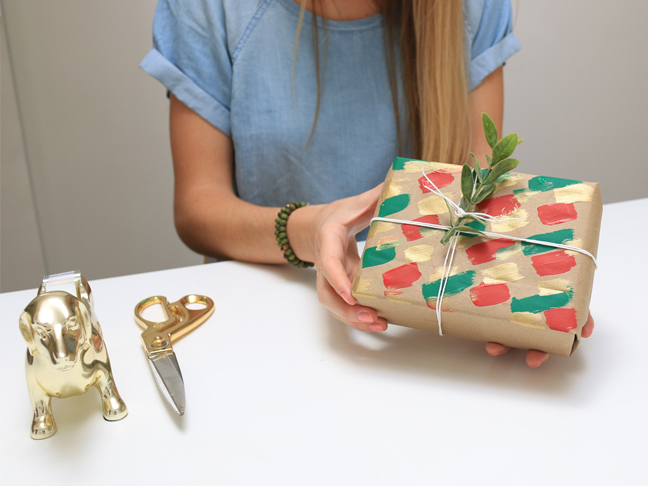 Step 3: Now it’s time to grab your gift and start wrapping! 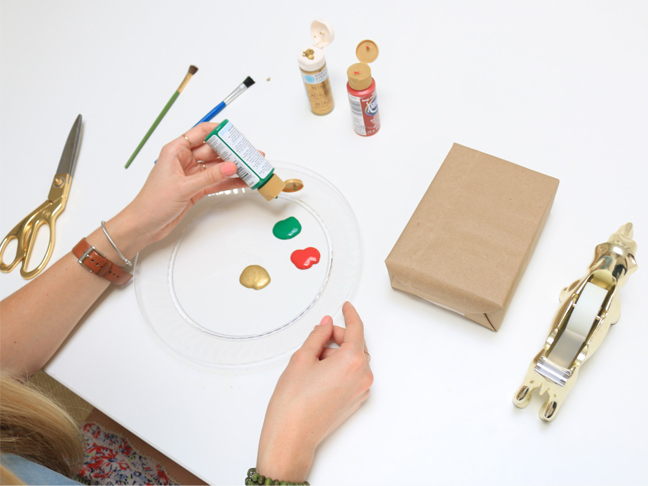 Step 4: Once your present is all wrapped, grab the paint and paintbrushes! 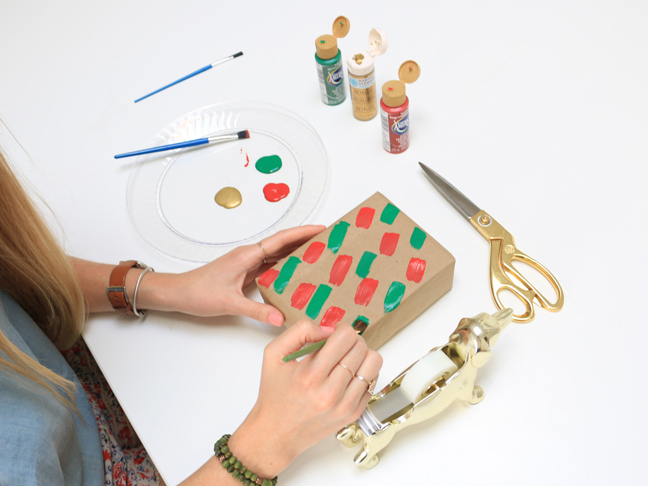 We chose to use green, red, and gold to keep things festive, but any color is perfect! Step 5: Cover the top of the box with short brush strokes in your desired pattern. Feel free to have fun with this part; the design is totally up to you! Step 6: Now it is time for the finishing touches! 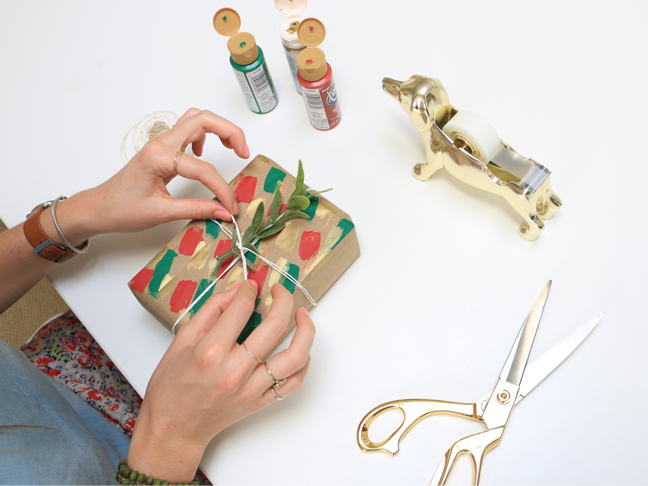 Once your gift wrap dries, grab some string and tie on some greenery for a festive feel. And there you go! 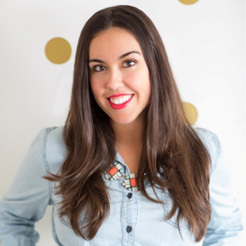 Not only will this person love their gift, but now the package is that much more personal! Happy holidays!